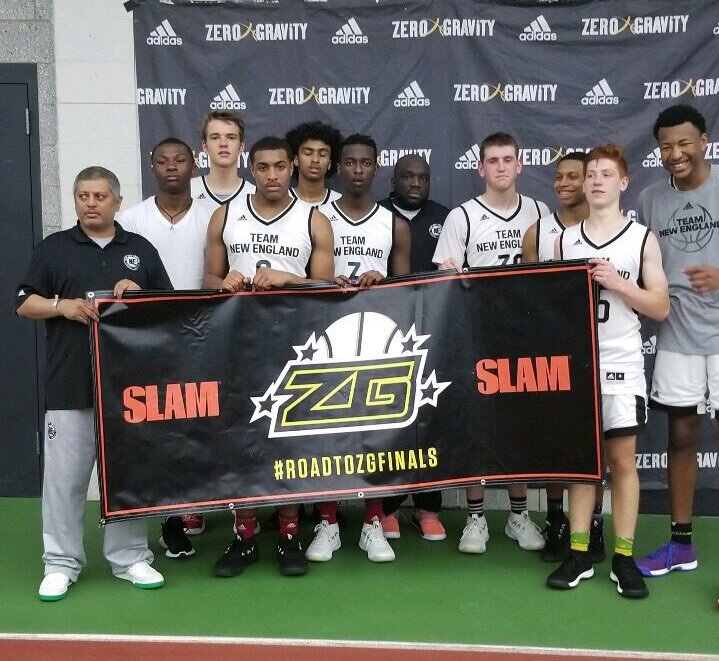 The Middlesex Magic and New York Jayhawks were the big winners at the 2018 Memorial Day Super 16 Showcase and appropriately they also have representatives sharing the event’s highest individual prize. Chris Ledlum, New York Jayhawks – The burly forward put up incredible numbers on the Adidas Gauntlet circuit in April and continued to produce at an extraordinary high level this weekend. He almost single handedly willed his Jayhawk team to a championship as he was relentless attacking the rim, constantly overpowering defenders, and showing tremendous finishing ability with both hands in traffic. Ledlum has a terrific motor, provides constant energy on both ends of the floor, and tons of leadership tools. Tommy ONeil, Middlesex Magic – O’Neil’s big spring continued this weekend as he led the Magic to their third consecutive Super 16 championship. While he was a big part of last year’s run as well, both his body and his game have grown in the last year. He’s boasting a stronger body, shooting the ball with more consistency from behind the arc, and proving to be a versatile offensive threat. O’Neil was also able to raise the level of his game on championship Sunday as his motor really started to stand out and he made his presence felt on every possession. Top to bottom I think you’d have a tough time finding an AAU program in the country with as much talent as the Nightrydas had with them this weekend. From the first game I saw with their 2023 group, all the way up to their 2020 class you could see these kids genuinely enjoyed playing with one another. Summer hoops can appear sloppy at times because of the limited practice time these kids have with one another, however the common theme with these Nightrydas teams was their Defense and Ball Movement. In today’s recap I’ll highlight some of the guys who really stood out from the classes of 2020-2022. For anyone I missed I apologize, only got to see everyone once or twice from each team - will definitely catch you guys next time!! And if anyone has any comments or concerns feel free to message me on Twitter or IG @CoachQuigs!! The Middlesex Magic captured their second consecutive Super 16 Championship in the 10th grade division as they fought off Stamford Peace, Rhode Island Elite, and Castle Athletics on Sunday in route to the title. George Smith, Middlesex Magic – A key cog in a skilled and unselfish Magic backcourt, the lefty can shoot it with range and also has the size to score over top of smaller guards. He was the team’s leading scorer on the weekend but also versatile on the defensive end and willing to rebound out of his area. His emergence has been paramount to the Magic’s spring success. Chris Edgehill, Middlesex Magic – A skilled guard known for his shooting prowess, Edgheill paced the Magic’s offensive attack from the perimeter with jumpers, easy baskets, and free-throws throughout the weekend. Ridiculous amount of talent here at #PangosAACamp this weekend. @CalMBBall in with lots of these kids. Big summer ahead. NORWALK, Ca. – Six-foot-10 Charles Bassey, possibly the top prospect in the national Class of 2019, is expected to make his third Pangos All-American Camp appearance this weekend while highlight the 16th version of one of the most high-profile grassroots basketball events in in the country. The camp tips off Friday night at Cerritos College, with the first rounds of games set for 8:30 and 9:30. Games continue Saturday afternoon at 3 and 4 o’clock; later that evening at 6:45 and 7:45; and Sunday morning at 9:30 and 10:30. The Top 50 and Top 25 “Cream of the Crop” All-Star games are expected to be played at 12:45 and 2 o’clock on Sunday afternoon. Check out @PangosAACamp Day 2 RECAP!! The games will be played on the pier in New York City. 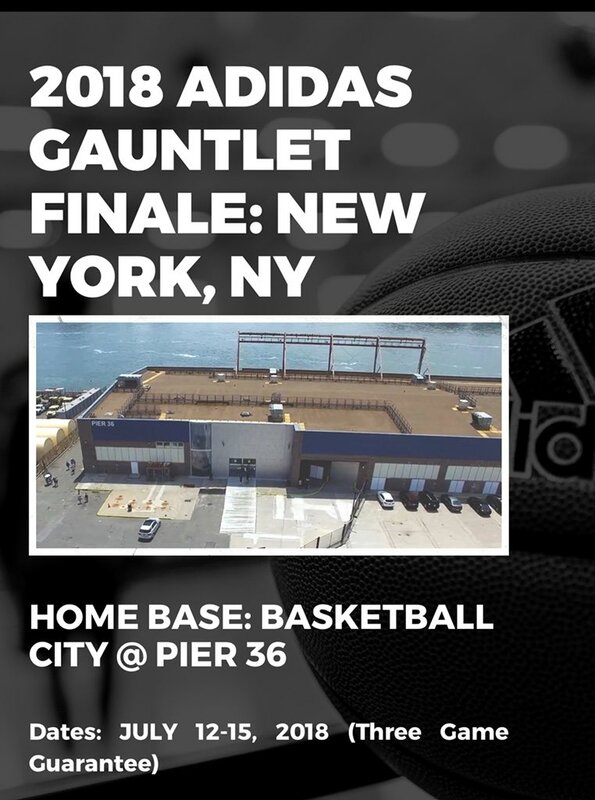 The Mass Rivals 17u Gold team will be there for the Gauntlet Finale July 12-15. Following is the list of adidas Gauntlet Gold teams who have qualified for the 2018 adidas Gauntlet Finale taking place at Basketball City in New York July 12-15th.